On April 6, five Upper School students and Science and Engineering Department Chair Drew Newman traveled to New Brunswick for the third annual Rutgers Oncology Olympiad. 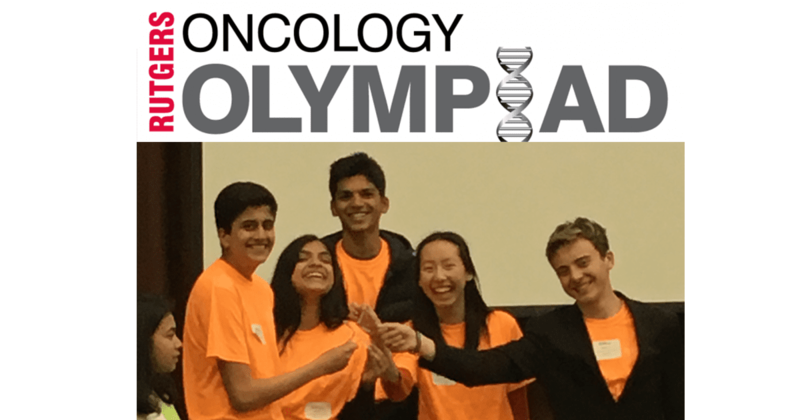 The team, composed of Hannah Jin ’20 (captain), Jalen Patel ’20, Bobby Lodge ’21, Kayla Patel ’21, and Om Patil ’21, earned gold in the “Cancer Knowledge” event and placed third overall out of 23 schools. This was Moorestown Friends’ second year participating in the event. Students take an individual qualifying test (90 minutes; multiple choice) in January, and those with qualifying scores receive invitations to the competition.